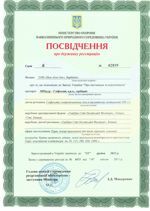 It is known that before using, selling, importing, advertising or storing the pesticide and agrochemical in the territory of Ukraine it is necessary to get the Registration Certificate. Our company would be pleased to assist you with registration of your products. Besides, since 2014 applicant should guarantee that upon state registration of the claimed product the intellectual property rights of third parties covered by the Patent of Ukraine will not be infringed. Thus, before initiating the registration procedure of the pesticides or agrochemicals it is necessary to conduct the patent search and it is advisable to register the corresponding trademark. For more details please click here. For our assistance please contact us. The registration of pesticides and agrochemicals is conducted by the Ukrainian Ministry of Ecology and Natural Resources and consists of the following steps. The pesticide and agrochemical registration procedure begins with the pre-registration researches. In order to conduct such researches the product should be included in the trial schedule of the Ministry of Ecology and Natural Resources. power of attorney from the applicant to the representative. After inclusion of the product into the schedule a request for testing of the pesticide preparation is filed to the institutes which prepare toxicity assessment and hygienic testing as well as biological trials. These studies are carried out during one vegetation period in case of the registration of the pesticide preparation that contains the active ingredient, which is the part of the pesticide preparation well-known in Ukraine, and during two vegetation periods in case of the registration of the pesticide preparation with new active ingredient. According to the state test schedule and to the research program of the institutes the Ministry of Ecology issues permission for experimental samples importation. After importation of experimental samples the corresponding institutes conduct the studies of the pesticide preparation. After conduction of the required studies the institutes issue the corresponding reports. The report on hygienic and toxicological studies is forwarded to the Ukrainian Ministry of Health Protection while the report on bioassay is forwarded to the Ministry of Ecology for examination. After examination said government authorities issue the resolution according to the results of the above-mentioned studies. methods of disposal and destruction of the pesticide preparation. The Ukrainian Ministry of Ecology and Natural Resources conducts the examination of provided materials and in accordance with the results of said examination issues the Certificate about state registration of the pesticide preparation. In case the Ukrainian Ministry of Ecology and Natural Resources considers that the information about the pesticide preparation or other information regarding the pesticide preparation is insufficient or there is the lack of toxicological/ecotoxicological data on the pesticide preparation the product is registered for two years (so called experimental registration). During the experimental registration it is possible to conduct additional required studies and according to the results of the studies the Ukrainian Ministry of Ecology and Natural Resources may consider to register the preparation for ten years. obtainment of the research reports from the institutes, forwarding reports to the examination boards, etc.